- Corporate Visual Identity or Brand Visual Identity. - Website (dynamic, so you can change it by yourself, so-called 'CMS' type). 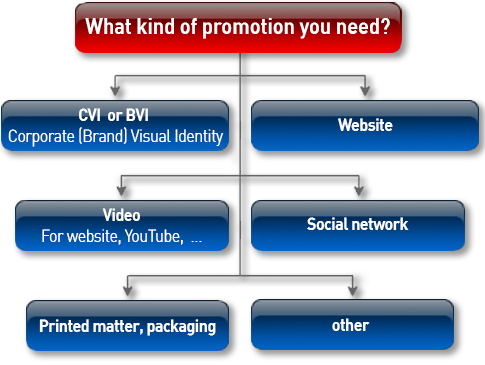 - Video for promotion via YouTube, your webpage and social networks. (such as business cards, flyers, catalogs, any printed information). - Social network page or a methodology to promote the business. I can help with things marked in BOLD font.